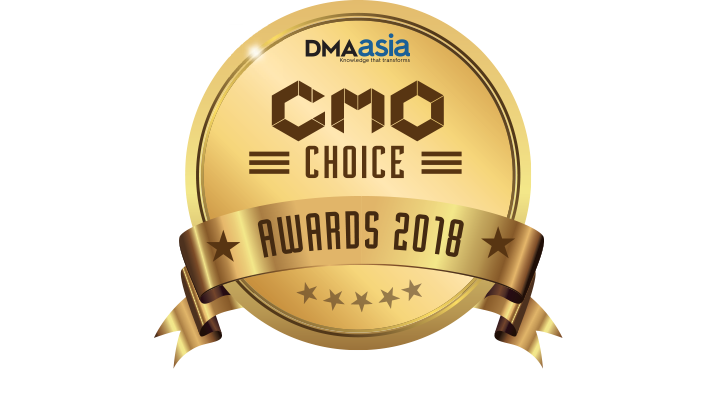 Value First is immensely proud to announce that for the 2nd consecutive year, Surbo – Chabot Generator Platform has won the CMO Choice Award for Emerging Marketing Partner at the 8th edition of DMAasia 2018 held at Gurugram on 3rd May 2018. DM Aasia is a global community of leaders in data, marketing, media & technology ecosystems, honoring the brands & creating excellence in marketing innovation. Surbo has been chosen by a jury of 100+ CMOs across the country as an emerging marketing partner for its upgraded features, exceptional user experience & AI enabled chatbots. "The 4th Edition of DMAasia #CMOChoice Awards saw fierce competition with 16 noteworthy participants in fray at the final round. It is to our delight to see Surbo being the only participant from the four defending champions to have retained the crown and trust vote for the second consecutive year," Shelly Singh, Co-Founder & COO, DMAasia. “2018 is going to be the year when chatbots will finally move out of limited trials and into full-fledged business impact on the consumer-brand engagements in India. Over the last year more than 50 leading brands in India have expressed their trust on Surbo, our best-in-class platform for AI enabled bots for business. In our experience, chatbots are delivering 20% more in lead gen conversion while taking 5% of the time involved earlier, 3x fill rate for consumer insights, increase engagement rate for FAQs by 80% while reducing turnaround time by at least 1/4th. This DMAasia CMO Choice Award, second year in the running, is a rich recognition to the skill, ingenuity, vision and the client focus of our team. We thank the India CMO community for this recognition and for their continued support.” – Mr. AnubhavBatra, CFO & CBO, ValueFirst. With over 4 billion users spending most of their time online over messaging apps, chat has become the interface which consumer has got used to. In line with this shift, Surbo - Chatbot Generator Platform develops & enables chatbots to execute user intents across industries and trigger actions successfully whilst delivering a seamless user experience. Driven by 300+ passionate employees serving a diversified customer base across BFSI, E-commerce, Retail, IT Software, Manufacturing, Internet, Automobile, Government, Education, Travel, Media, Exchange houses, Hospitality, Healthcare, Consumer verticals, etc. The company enjoys strong relationships with telecom operators & has a global footprint across India, Middle East, Bangladesh, Indonesia, Nepal & UK.